It's thought by some as more reliable than its Windows counterpart, and Linux is becoming increasingly popular in tech circles, but its official market share still only remains at about 1%. Yet Windows 8 is going down like a lead balloon. Its touch-optimised interface doesn't fit the needs of most SMBs, who are still using desktops day-to-day. Microsoft is changing aspects of Windows 8 in its second iteration, named Windows 8.1, but some businesses are now looking for an alternative operating system (OS). Linux is easily available, free and you can load it up yourself. SMBs can implement a 'mixed' Windows and Linux environment, or even run Linux with Windows applications on a virtual machine. Linux distributions such as Ubuntu can also be more secure than Windows, and the OS requires less powerful hardware, mitigating the need for a PC upgrade. Paolo Vecchi, CEO of Omnis Systems, has been using Linux on his firm's servers for the past 10 years and on the desktops for five. While Omnis uses Linux in the office, Vecchi also uses it himself at home after ditching his Windows XP system. "I was working with Linux on the service side and it made sense," he says. Vecchi started off with Linux distribution Debian which he says "is perfect for the service side but not so good for the desktop" because of long periods between releases. "Now we use Ubuntu," he says. Vecchi has just upgraded to Ubuntu 14, which he says is powerful and "easier and lighter" than Windows. "The point is to give the user an option," he says. "Going to Windows 8 is big effort." Linux needs less power, so Ubuntu works with lighter systems. And according to Vecchi: "You wouldn't need to buy Microsoft Office, you would be happy with LibreOffice." SMBs can have Linux and continue to use Windows applications by running them on a virtual machine, or have a mixed environment with some PCs running Windows 7 and some Linux. SMBs buy differently to large enterprises so they often have a mixed environment, says Andrew Buss, IDC Consulting Manager, Europe - Data Centre Infrastructure and Client Devices. With apps in the cloud, the barriers to experimentation are gone and if you are happy using web based tools, Linux might be better, Buss says. He adds that adoption of the cloud is also making it more viable to use Linux. "The SMB market is very focused on Microsoft and Windows, but Linux adds choice as you can now do web through the cloud," he says. "Mobile devices like iPads are also seeing more users accessing cloud services, creating a change in the way we use software." Linux is secure in the way it is made as it doesn't allow you to perform certain actions, says Vecchi. "I'm not saying it's impossible to infect a Linux system; it just doesn't happen that easily, so you are in a much better position security-wise. There are also tools to update the PCs." But Buss thinks Linux and Windows are on a par in terms of security and warns that Linux does require specialist expertise to set up securely. SMBs should seek advice from a consultant, but they then might be able to look at moving from Windows, Vecchi says. He advises SMBs to look at which Windows applications they really need in order to make savings in IT with Linux. If you are thinking of upgrading, you can probably save about a third on the cost of upgrading to Microsoft, Vecchi says. "Look at the software you are using - do you really need it? Only a certain number of employees might need Microsoft for sharing spreadsheets for example. Firms can save thousands a year." The biggest cost is operational rather than savings from bringing the licence down, argues Buss, pointing out that you would still have to licence Windows on a virtual machine. 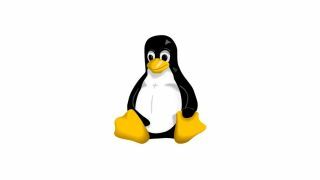 "With Linux you can have more problems with user training," he warns. But he adds: "Lots of modern Linux distributions are plug and play so basic use isn't difficult." Experiment at home before you install Linux in the office; it's very different if you have always used Windows. And switching to Linux is not painless, Vecchi admits. "To RAM some of the apps you have to do it on Windows XP. Then you can grab XP and virtualise it on Ubuntu. Or you can get tools that allow you to run Windows applications directly on Linux." Once you're comfortable with Linux, you can start implementing a mixed environment, Buss advises. "SMBs are probably already running Windows so for me it's 'and' rather than or," he says. But Linux is a good opportunity for SMBs wanting to create documents and presentations from web applications. The way we use software is changing and trying out Linux could give you new capabilities as well as saving you a fortune in licensing costs.